In the Batman movie, The Dark Knight, the Joker (played by the late Heath Ledger) notes the scared reaction to his crazy acts of violence and says, “Why so serious?” In The Dark Grape, he might have said, “Why so toxic?” as he observed the large amount of chemicals used on vineyards around the world. When it comes to using chemicals on vines, pre-emptive strikes – much like US foreign policy – are also standard and encouraged by viticulture experts. So you spray every two weeks even if you haven’t seen any sign of a bug or a disease. Then you put up signs and stay out of the vineyard for a few days. 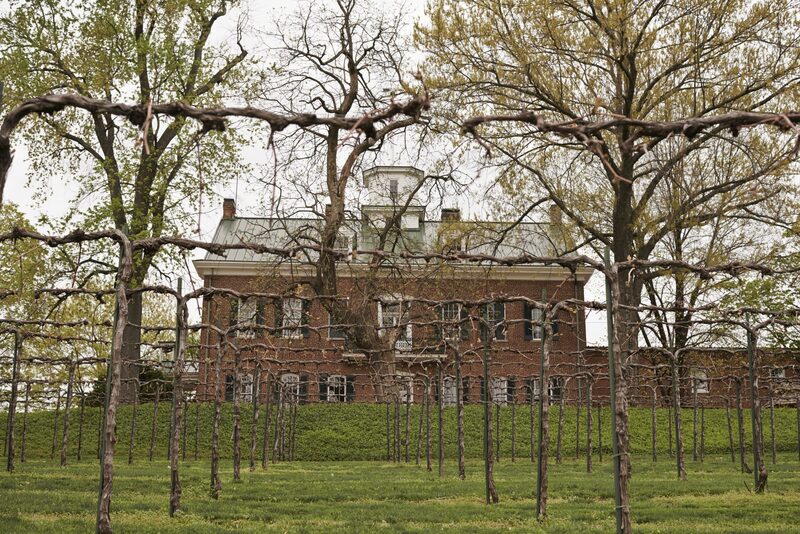 Hopefully your vines aren’t too close to your tasting room. One of the great things about Norton vines is their disease resistance. Vineyards tend to use less artificial chemicals on Norton and some, like Westphalia Winery, don’t use any. Westphalia goes further and doesn’t even use sulfites to help preserve the wine. Instead, the winery relies on the fermentation process itself, the way the wine reacts with oak barrels and good cleaning and sanitation procedures to keep the wine fault free and age worthy. The 2006 Westphalia Winery Norton is a standout example of how you can make a high quality, ageworthy red in Missouri from a largely native grape variety with low tannin levels (despite the importance of tannin for flavor and aging in other red varieties.) Plus Westphalia does not use artificial chemicals on the vines or inside the winery. 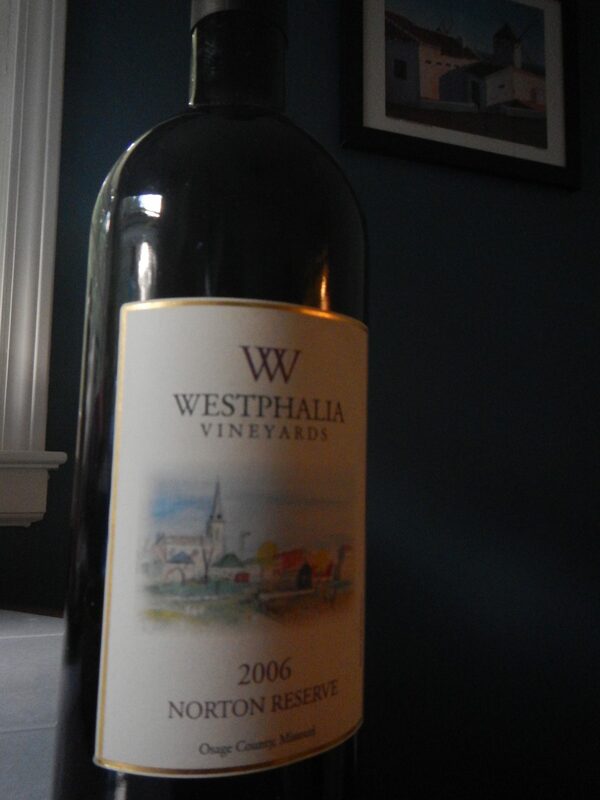 Midwest Wine Press doesn’t often describe the wines that we drink, but a 2006 bottle of Westphalia Winery’s Norton says a lot about the art and business of making wine in our region. This 9 year old gem was garnet red in color with no signs of oxidation due to its lack of added sulfites. The powerful aroma was like a cigar box with cassiss notes – reminiscent of the old, quality Bordeaux wines my dad sometimes drags out of his cellar. 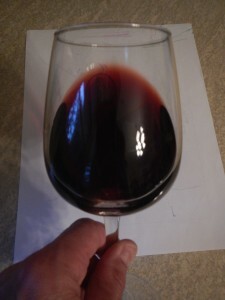 The taste included pomegranates, ripe plums and blackberries turning to a long after taste of elderberries and brambles. Mouthfeel was nicely balanced and very smooth with no excessive alcohol or acid sensations. As it sat in the glass, the wine developed a lovely honeycomb aroma and taste.